Set in the beautiful village of Lindfield, this local Studio is fast becoming a popular hub of all things arty in West Sussex. The Studio is run by local artist and teacher Leesa Le May, who opened the doors seven years ago and has not looked back since. “Teaching art and producing art is a great feeling to have everyday!” says Leesa, who, after moving to the area 18 years ago to raise her family, decided to turn her artwork into her business. 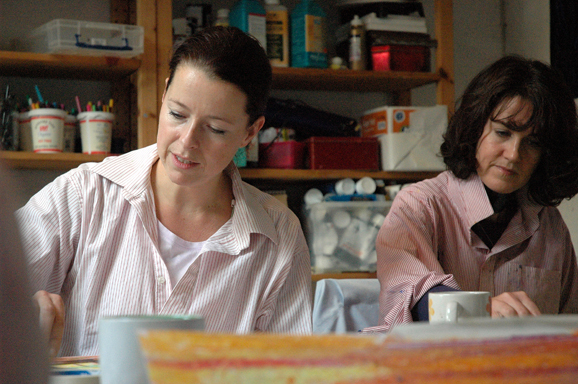 The Studio was born, first to give Leesa a space to practice her art and produce commissions but soon it developed into a mission, to provide a local space in which all children, parents, teachers – the whole family – would have the opportunity to be creative. 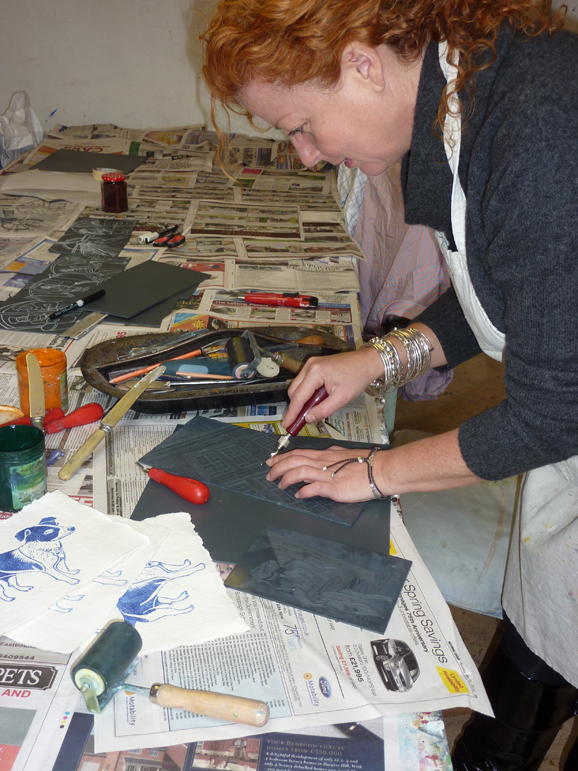 Through 2013 the Studio has reaped rewards with the GCSE pupils who attend private tuition and the Saturday morning GCSE class with Leesa gaining excellent grades. “Ten students achieved A and A* grades, they were fantastic and I was so proud to help them.” Now it’s on to the next group of year 10 students coming through the doors. So what’s next for Lindfield Art Studio? Everyone loves to visit the studio on Village Day or at the Arts Festival, so 2014 will be an exciting year as the Studio will be open to the public on a number of occasions, a children’s exhibition and Open Studio is planned for May, holiday art clubs and the new toddler and pre-school art club on Thursdays is becoming a big hit for new mums to the area. “I really enjoy the painting courses, all materials are provided so as a busy mum, I can just turn up and get painting!” –Lucy Shore, Lindfield. 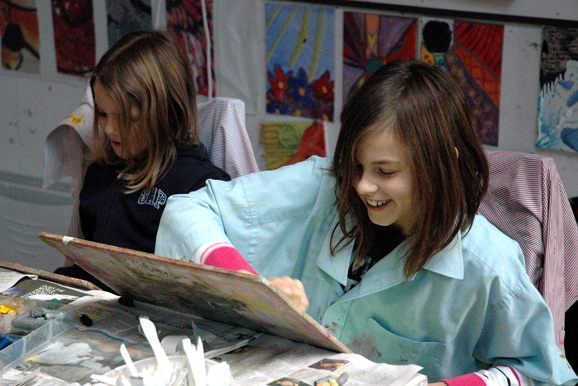 “I love the art classes because they are so fun and creative. Leesa is a lovely teacher because she helps us to understand all the different features of art and each week we get to try something new!” –Annabel Burton, Lindfield. For courses, events, workshops, art parties or more information about the studio visit: www.lindfieldartstudio.co.uk; find them on face book, www.facebook.com/LindfieldArtStudio; or call 07738 288730.